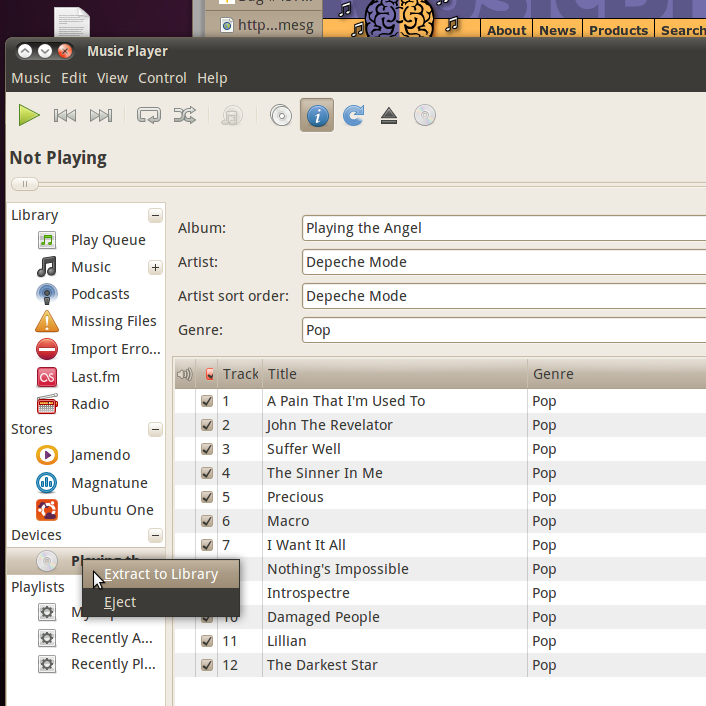 When I right click on the CD in the left pane, I get "extract to library" (extract.png screenshot). 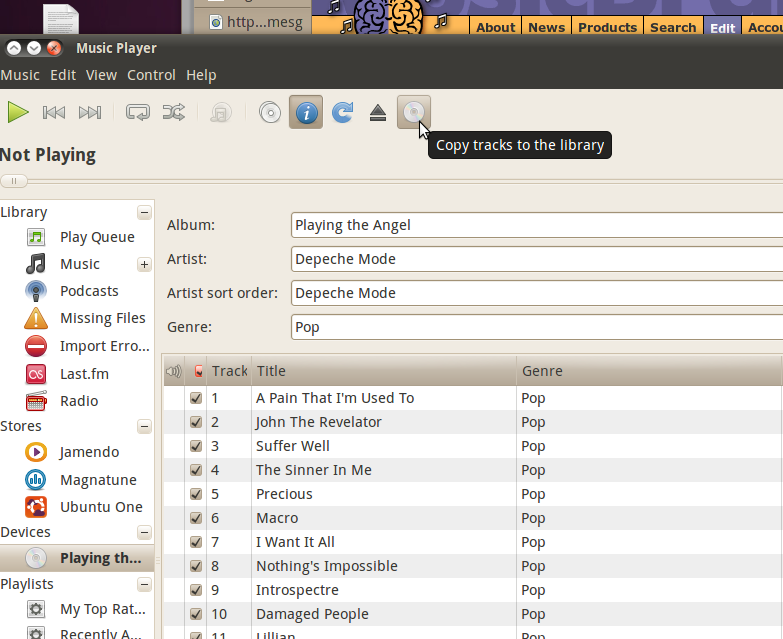 When I hover over the CD icon, I get "copy to library" "copy to library.png screen host). In my opinion, neither of them makes sense. They both do the same thing so why can't we name them properly. Copy to library is misleading. It should be rip .. itunes uses that terms, why can't we use it as well. less confusing this way. I believe "Copy tracks to the library" is ok. But it should be consistent, which means the right-click menu should say "copy to library". I guess upstream should take care of this. should i file a bug with upstream? sorry not sure what to do next. Im not sure either, but that sounds like a good idea to me. Thank you for taking the time to report this bug and helping to make Ubuntu better. A new version of Rhythmbox is available on Maverick and we are wondering if this bug is still an issue for you with that version? Could you please test and comment back? Thanks in advance.